Are you looking to maximize cashback rewards? Cards with 5% cashback programs can be some of the most lucrative on the market. These cards can allow you to put some money back into your wallet on purchases in rotating categories or the categories of your choice, on business expenses or on retail purchases. It can be easy to just stick with a basic cashback card that offers 1% to 2% on everyday purchases, but with a little extra work, you can boost that to 5%. In fact, both types of cards pair nicely and can provide great benefit when used together. For example, you can use a rotating 5% cashback card, like the Discover it® Cash Back, for purchases in the bonus categories each quarter. Then, all other purchases could be made with a flat-rate cashback card, such as the Citi® Double Cash Card – 18 month BT offer. By using the two cards in unison, bonus category purchases benefit from the high 5% cashback rate, while all other purchases earn a competitive 2% cash back. If you had just used the Discover it® Cash Back or the Citi® Double Cash Card – 18 month BT offer, you’d be leaving some money on the table. We’ll review four ways you can earn 5% cash back, as well as some terms you should be aware of prior to using a 5% cash back card. Plus, as an added benefit, all of the cards mentioned below have no annual fee. If you don’t have a clear spending goal, and want to benefit from a variety of bonus 5% cashback categories, you should consider a rotating 5% cashback card. These cards offer 5% cashback in select categories, such as grocery stores, gas stations, and restaurants, that rotate each quarter. Compared to using a flat-rate cashback card on all purchases, a rotating 5% cashback card allows you to earn a little bit more in these categories every quarter. Activation is required. In order to earn 5% cash back in the bonus categories, you must activate that quarter’s categories through your card’s online portal. You should sign up email or text alerts or set a calendar reminder so you don’t forget. Cashback earning limitations. A potential setback is hitting the limit on the amount of cash back you can earn at the 5% rate. Generally, issuers limit you earning 5% cash back on the first $1,500 in combined purchases in that quarter’s bonus categories. That’s a maximum of $75 cash back each quarter in the bonus categories. Once you hit the quarterly maximum, the cash back drops to 1%. How to earn cash back: Earn 5% cash back at different places each quarter like gas stations, grocery stores, restaurants, Amazon.com and more up to the quarterly maximum, each time you activate, 1% unlimited cash back on all other purchases - automatically. How to redeem cash back: Redeem for a statement credit, gift cards (starting at $20), charitable donations, deposit into a bank account, or to pay at select merchants. 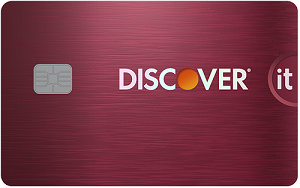 Read our review of the Discover it® Cash Back. In addition, the Discover it® Balance Transfer and the Discover it® Student Cash Back offer the same rewards program. How to earn cash back: Earn 5% cash back on up to $1,500 in combined purchases in bonus categories each quarter you activate. Enjoy new 5% categories every 3 months. Unlimited 1% cash back on all other purchases. April to June: Grocery stores (excluding Target & Walmart) and Home Improvement stores. New cardmember offer: Earn a $150 Bonus after spending $500 on purchases in your first 3 months from account opening. How to redeem cash back: Redeem for a statement credit, direct deposit into most U.S. checking and savings accounts, gift cards, travel, or shop with points at Amazon.com. There are no minimum redemption amounts, so you can redeem rewards starting at a penny. 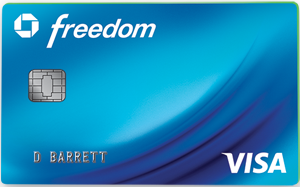 Read our review of the Chase Freedom®. If you’re looking for a more flexible 5% cashback card, there are select cards allow you to choose a particular category of spending. These cards provide several bonus categories and may allow you to select multiple categories to earn 5% cash back. Bonus category selection required. In order to earn 5% cash back, you’ll need to select the bonus categories of your choosing each quarter. If you don’t, you may completely miss out on 5% rewards. Set a reminder so you don’t forget. Cashback earning limitations. These cards often set limits on the amount of cash back you can earn at the 5% rate. After you hit the quarterly maximum, the cashback rate drops to 1%. How to earn cashback: Earn 5% cash back on your first $2,000 in eligible net purchases each quarter on the combined two categories you choose. 2% cash back on your choice of one everyday category, like gas stations or grocery stores. 1% cash back on all other eligible net purchases. How to redeem cash back: Redeem cash back as a statement credit, deposit made to your U.S. Bank savings, checking or money market account, or for gift cards ($20 minimum redemption amount). Beware, cash rewards expire 36 months after the billing cycle in which they are earned. 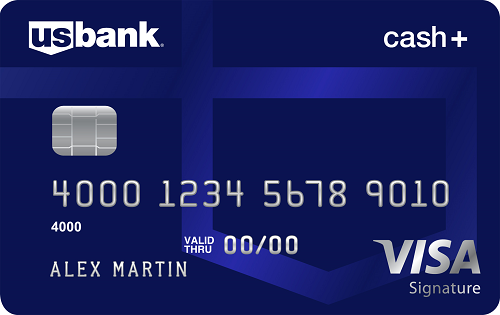 Read our review of the U.S. Bank Cash+™ Visa Signature® Card. As a business owner, you have a lot on your plate from making purchases to paying bills. If you use a business card, you can streamline that process and potentially apply any rewards earned to offset some of your monthly statement. There are cashback cards that offer 5% back on common business expenses, such as office supply store purchases. Bonus category selection is required. You may need to select a category in order to earn the higher cash back. While there’s often a default category, it may not suit your spending habits, so be sure to make a selection. Cashback earning limitations. There may be an annual maximum amount of spending that qualifies for the higher cashback rate. Once you hit the maximum, you’ll only earn 1% cash back for the remainder of the year. Note: the definition of a year varies by card, with some defining it as a calendar year and others as an account anniversary year. Refer to your cardmember agreement for the exact terms. How to earn cash back: Earn 5% cash back on wireless telephone services purchased directly from U.S. service providers and U.S. office supply stores, 3% cash back on the category of your choice from a list of eight, 1% cash back on other purchases. 5% and 3% apply to the first $50,000 in purchases per calendar year, then 1% applies thereafter. You need to select the 3% category within the first two months of card membership, if not, the default is gas stations. After you select a category, you can change your selection once a year between Dec. 1 and Jan. 31. How to redeem cash back: There’s no action needed on your part — each billing period, cash back is automatically credited to your account as a statement credit. 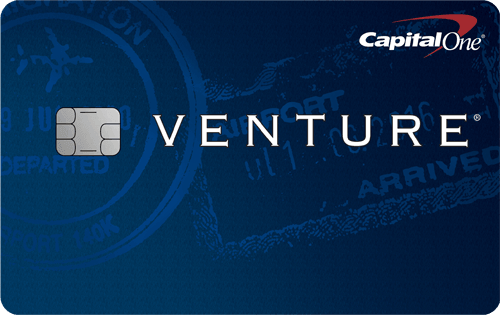 Read our review of the SimplyCash® Plus Business Credit Card from American Express . How to earn cash back: Earn 5% cash back on the first $25,000 spent in combined purchases at office supply stores and on internet, cable and phone services each account anniversary year. Earn 2% cash back on the first $25,000 spent in combined purchases at gas stations and restaurants each account anniversary year. 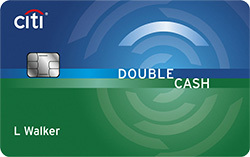 Earn 1% cash back on all other card purchases with no limit to the amount you can earn. New cardmember offer: Earn $500 bonus cash back after you spend $3,000 on purchases in the first 3 months from account opening. How to redeem cash back: Redeem cash back for a statement credit, electronic deposit into an eligible checking or savings account, gift card, or travel. 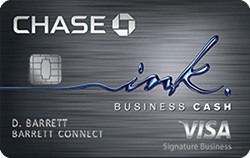 Read our review of the Ink Business Cash℠ Credit Card. If you shop frequently at a particular retailer, it can be a good idea to consider a store card. These cards reward you for shopping in-store or online and can offer up to 5% cash back. Just know, most store cards can only be used at the issuing store and any other brands they own. However, if your card is backed by Mastercard, Visa, or American Express, it can be used anywhere those cards are accepted. High interest rates. Store cards are known to have higher than average interest rates, so it’s important you always pay on-time and in full. A recent CompareCards study found that on average, a new store card has a 24.97% APR; that’s 8% higher than the average credit card at 16.91% APR. Select purchases don’t earn 5%. Depending on the terms of your card, not all purchases made at the retail store earn 5% cash back. Some items and fees, such as gift cards and shipping costs, may be excluded. Potential membership costs. While the cards mentioned below have no annual fee, they may require a membership to benefit from the high 5% cash back. How to earn cash back: Earn 5% back at Amazon.com and Whole Foods Market, 2% back at restaurants, gas stations and drugstores, 1% back on all other purchases. Just know, a Prime membership (currently, $119 per year or $12.99 per month) is required to earn these rewards rates. If you’re not a Prime member, you’ll earn 3% back at Amazon.com and Whole Foods Market, 2% back at restaurants, gas stations and drugstores, 1% back on all other purchases with the Amazon Rewards Visa Signature Card. New cardmember offer: $70 Amazon.com gift card upon approval. How to redeem rewards: Redeem rewards for a statement credit, electronic deposit into an eligible checking or savings account, gift card, or to cover purchases at Amazon.com. Points can be redeemed at any time and for any amount. The information related to the Amazon Prime Rewards Visa Signature Card has been collected by CompareCards and has not been reviewed or provided by the issuer of this card prior to publication. Terms apply to Chase credit card offers. See chase.com for more information. Read our review of the Amazon Prime Rewards Visa Signature Card. How to earn cash back: 5% discount on Target and Target.com purchases. How to redeem rewards: There is no redemption option since you receive the 5% discount instantly at checkout. The information related to the Target REDcard Credit Card has been collected by CompareCards and has not been reviewed or provided by the issuer of this card prior to publication. Read our review of the Target REDcard Credit Card.